Yesterday, I attended the Maker Faire NY at the New York Hall of Science in Flushing Meadows Corona Park. This event showcases DIY projects in the areas of Arts, Crafts, Food/Sustainability, Engineering, and Science. There were many opportunities to make something. I thoroughly enjoyed being able to sit down and create. NeedleArts Zone was sponsored by The National NeedleArts Association. They offered lessons for crochet, cross-stitch, knitting and needlepoint. 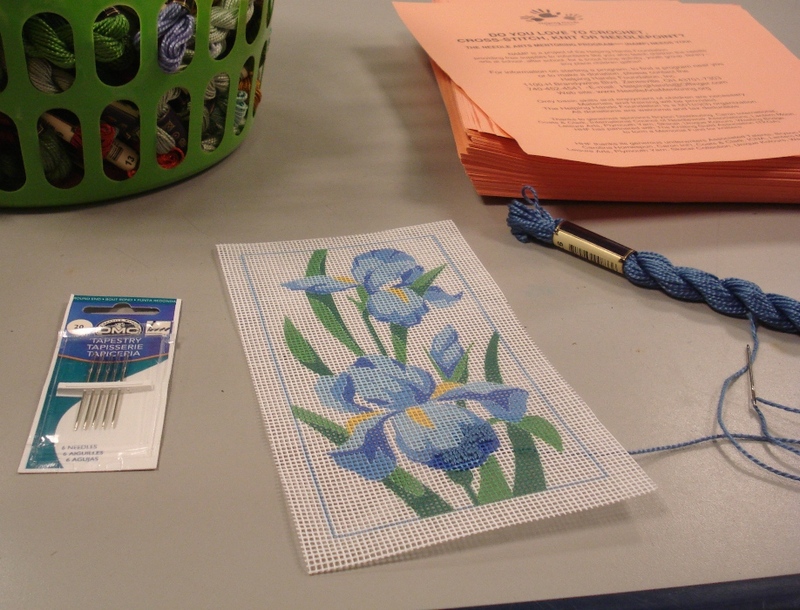 The teachers were friendly, supportive and wonderful ambassadors for the needle arts. Free materials were provided with every lesson. I learned needle point at the beginning of my visit to the Maker Faire and crochet at the end. I have experience with cross-stitch and embroidery so needle point was not difficult. 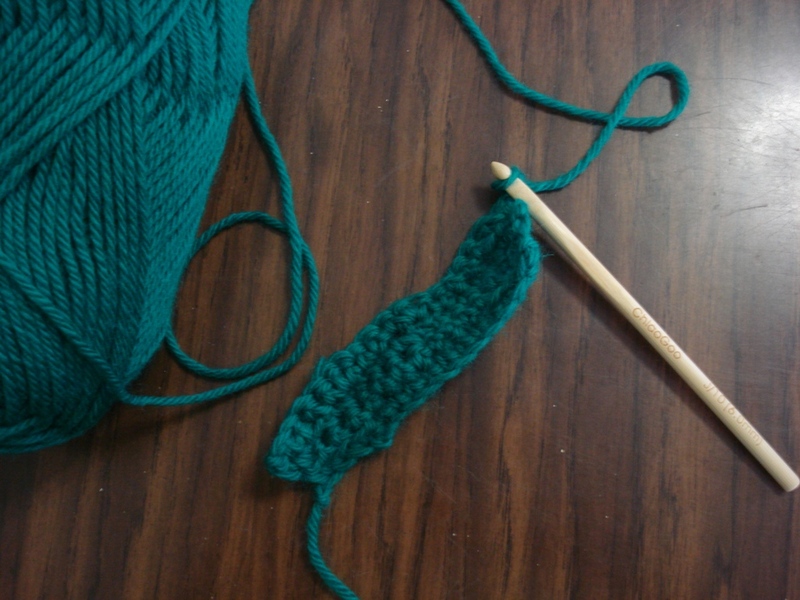 I was slow at picking up crochet but my instructor was very patient with me. 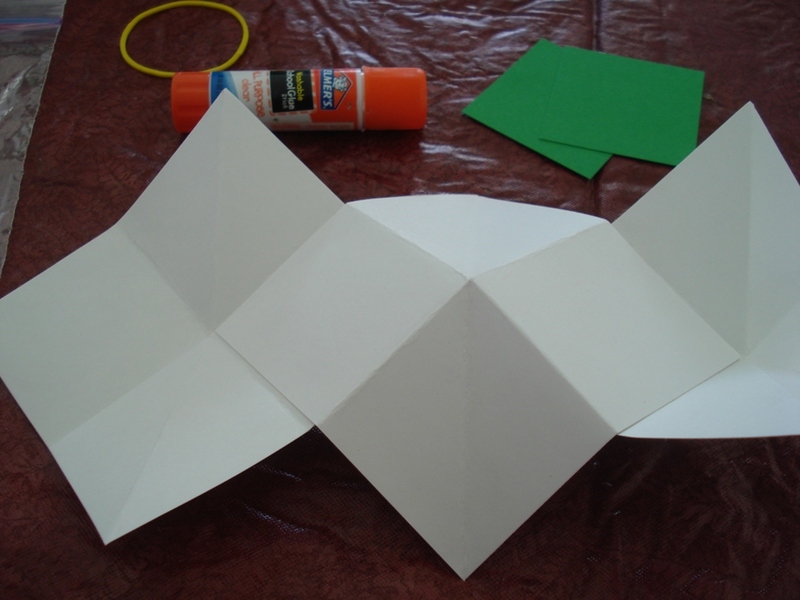 Tami Jo Studios offered the opportunity to make an Origami Photo Album. See completed albums here. 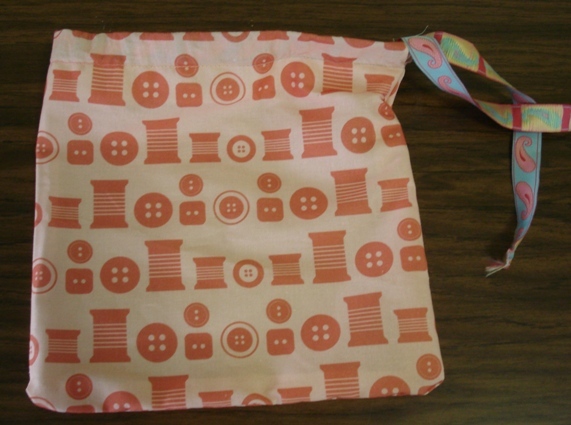 Burda Style allowed attendees to sew a drawstring bag. There were two fabric choices provided by Spoonflower. Burda Style also provided fun materials with information about their website. Radio Shack allowed attendees to make a mini flashlight. Workstations were set up with directions, supplies and soldering irons. Plenty of helpers were available. I enjoyed following the directions and soldering. 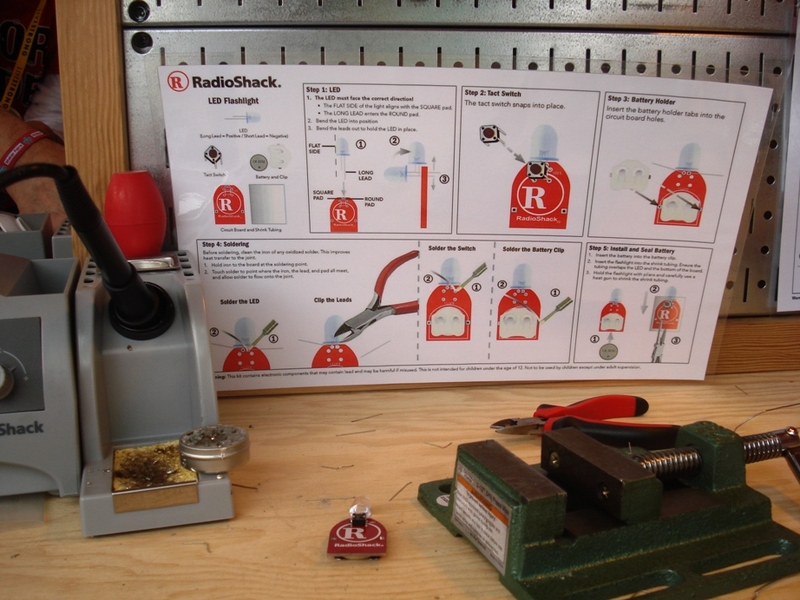 SparkFun Electronics offered kits to solder. I happened upon their tent towards the end of my visit. I was tired and decided not to stand in the long line to solder a kit. When I was a child I completed Heath Kits with my Grandfather. 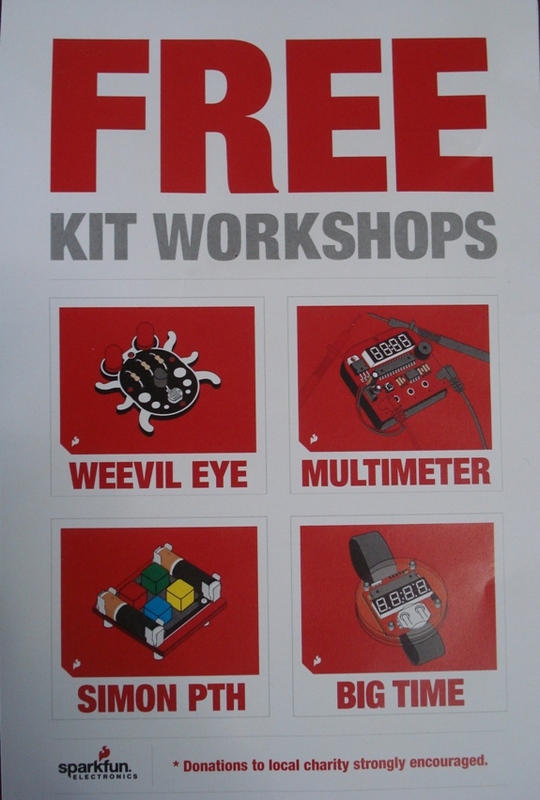 I am interested in trying a SparkFun Electronics kit with a niece or nephew. I had an amazing time at the Maker Faire NY and look forward to attending again. This entry was posted in Adventures, Crafts. Bookmark the permalink.